As marketers, we all face similar issues even if we operate in different product and service categories. Many of these (cost efficiency or accountability for marketing expenditure for example) we resolve as individual marketers. However there are also many business-critical issues affecting all brand and marketing communication today that require us to think, act and speak more collectively with a single voice. Importance of ABC in Malaysia Advertisers have been in constant battle to gain the best return of their investments whether from consumers or agencies. A lot of emphasis has been put on agencies especially on accountability and transparency on transactions with media owners, suppliers and/or with advertisers themselves. Surprisingly when it comes to media, especially magazines, not as heavy a focus advertisers put in ensuring what was paid was delivered. ABC has been established since 1975 for the sole purpose of ensuring true numbers are provided to aid proper media planning. It is so important for buyers in the industry to access and use these numbers as ABC’s audited and verified circulation numbers serve as the common currency and are therefore comparable, unlike research that is often commissioned with different methodologies, sampling framework, which could paint a biased picture. It’s at the heart of the belief on transparency, integrity and accountability that MAA push ABC to be relevant to the industry at all times. “Public listed companies who are placing advertisements in unaudited publications could be violating their accountability standard to their shareholders. For an officer of the company, issues of transparency and accountability, is an integral part of their job function and non compliance could result in breach of duties and responsibility “, quoted once by a former ABC Chairman and I’m sure that no company would set up in a manner that integrity would be compromised. ABCi to Lead the Way for Digital Audit ABCi was once established under ABC, hoping to audit digital media or sites. It didn’t take off until recently when much pressure and focus was put on. In the world of digital where tonnes of metrics are available to everyone’s like, it’s important that ABC educates the industry what are the fundamental metrics one should look at, and comparable. It’s in line with ABC’s mission where ABC needs to disseminate relevant information pertaining all media, plus the world has moved towards digitization, ABC hope to announce the framework for auditing and verifying digital publishers’ site traffic by early 2012. At MAA we believe that all of us are always smarter than even the smartest of us, and there is a large untapped opportunity in collective sharing, learning, and collaboration. In particular, new knowledge and trends in the area of marketing and communications is developing so rapidly and in so many directions that MAA members benefit greatly from networking our collective knowledge and marketing experiences. Currently, MAA organizes regular networking between advertisers in Malaysia, agency partners, media content publishers, visiting brand and marketing gurus and even like-minded advertiser organizations abroad. 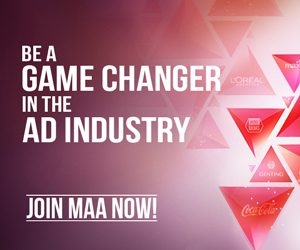 The MAA is a leading proponent of self-regulation of the industry, and drives efforts for greater liberalization that would be more conducive for businesses and brands to thrive. 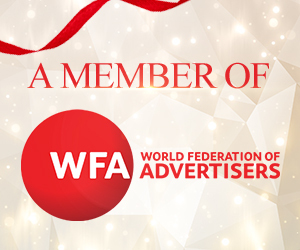 As the recognized voice of the advertisers, the MAA is often consulted on issues related to legislation of the industry too. We are also proactive and preemptive in addressing many sector-related regulations and issues; acting as the advertisers’ liaison with ministries and governmental bodies, as part of our continuous efforts to safeguard advertisers’ interests and maintaining some level of normalcy in this environment of ever-changing rules and views.